We are one of the leading importers and exporters of Cored Wires in India. These are procured from reputed manufacturers in the industry and tested for its compliance with the international standards. Our range is offered at competitive prices to the clients. 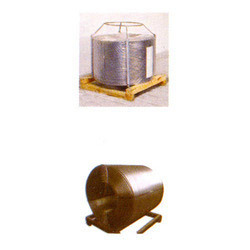 We are engaged in offering our clients with a qualitative range of Calcium Silicide Cored Wire. Our range is procured from reputed manufacturers in China and checked for its compliance with the international quality standards. These are also offered in various specifications to meet the specific requirements of our clients.